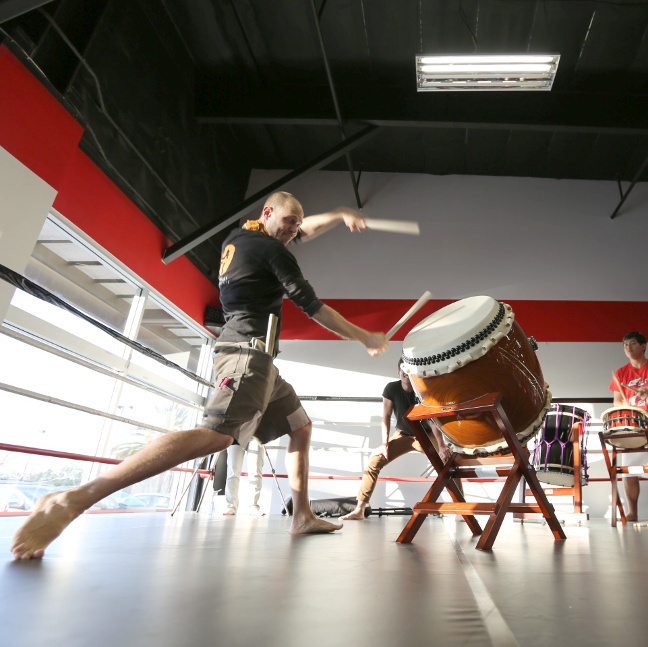 Learn the fundamentals of one of taiko's great forms: naname, or slant-style! Participants learn stance and strike plus the core rhythms of the style, from two of the world's leading naname players. No drumming or dance experience required. Everyone can play taiko! Contact Jen to reserve your spot.